Are all Manga Adaptations terrible? What’s worse than an anime that’s basically an advertisement for the manga? A manga that’s an advertisement for the anime. More often than not these are the things said about manga that are based anime series. I bet most of you already know that it’s much more common for a … Continue reading Manga Adaptations: Tenchi Muyō! I was nominated by Drunken Anime Blog & Laura (ローラ)~! Rules: • Display the award logo • Thank the blogger who nominated you and post a link to their blog • Answer the questions of the one who nominated you OK • Nominate 5-10 bloggers. • Ask them 7 questions. 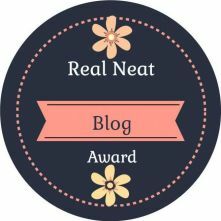 “As usual we are super informal … Continue reading Real Neat, I was nominated for the Real Neat blog Award! Rules: • Display the award! 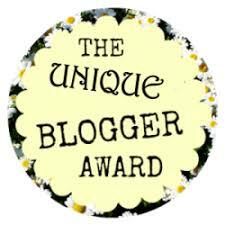 • Thank the person who nominated you, and post a link to their blog on your blog. • Answer the questions they’ve written for you! • Nominate 8-13 bloggers and give them three questions in the spirit of sharing love and solidarity within our blogging family! Wow, I was nominated … Continue reading I was nominated for The Unique Blogger Award? !